Different Psychedelics Share a Common Trait: Enhancing ‘Neural Plasticity"
New research suggests that different classes of psychedelic drugs all share the tendency to promote the growth of new brain cells, especially the kind that reach out and forge connections with other brain cells. This finding could help explain both the mind-expanding properties of the drugs and the mechanisms by which they appear to act as valuable treatments for a broad range of psychiatric disorders. Earlier research had identified the dissociative anesthetic ketamine as promoting growth in key brain cells (as well as being a fast-acting and effective treatment for depression), but this new research finds similar effects in amphetamine-based psychedelics such as DOI (2,5-dimethoxy-4-iodoamphetamine), ergoline psychedelics (such as LSD), and tryptamines (such as DMT). Using experiments in cell culture and with animals, researchers led by Dr. David Olson of the University of California at Davis found that various classes of hallucinogenic drugs acted on the structure and function of cortical neurons using the same mechanisms as ketamine. The findings could point to new treatment approaches for depression, anxiety, PTSD, and addiction, the researchers wrote last Tuesday in the peer-reviewed journal Cell Reports. "The state-of-the-art, prototypical, fast-acting antidepressant is ketamine -- a compound that promotes neural plasticity and repairs circuits involved in mood and anxiety disorders," Olson told MedPage Today. "Our work demonstrates that psychedelics produce comparable effects on neuronal structure and function, providing a potential explanation for why MDMA, psilocybin, and ayahuasca seem to have antidepressant and anxiolytic effects in the clinic." 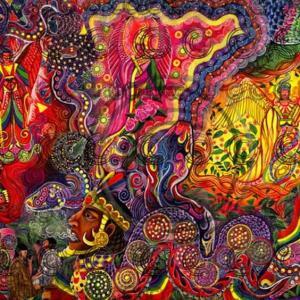 Using test tubes, as well as rats and fruit fly larvae, the researchers found that all of these classes of psychedelics increased "neural plasticity," the ability to create new connections among brain cells. The drugs all excited the growth of dendritic spines and axons, the cerebral hangers-on that brain cells use to reach out and create connections, or synapses, with other brain cells. That's the opposite of what happens with depression, anxiety, PTSD, and addiction. The current theory is that these disorders may occur when neurites retract, not allowing brain cells to connect at synapses. "One of the hallmarks of depression is that the neurites in the prefrontal cortex -- a key brain region that regulates emotion, mood, and anxiety -- those neurites tend to shrivel up," Olson said in a statement. Olson's research found that the neural plasticity effect found with ketamine was also "remarkably potent" with even very small doses of LSD, which could help explain the popularity of "microdosing" among people seeking happier and more creative lives. Chemical compounds that mimicked psilocybin and MDMA also increased neural plasticity on the same level as ketamine, and that could mean new opportunities for researchers working with psychiatric disorders. The studies also showed that the effect outlasted the action of the drugs. In rats, for example, psilocybin produced results that lasted for hours after the drug had left the body. Similarly, rats given a single dose of DMT not only saw an increase in dendritic spines similar to ketamine but saw that effect last for 24 hours when the drug itself had been eliminated within one hour. This is potentially very good news for researchers working on treatments for anxiety, depression, and addiction, which all seem to act on the same brain circuits. "Prior to this study, there was only one player in town and that was ketamine. This opens up some new doors," Olson said. "As the diversity of chemical structures capable of producing ketamine-like plasticity effects continues to grow, so does my hope that we will find a safe and effective fast-acting treatment for depression," he said. 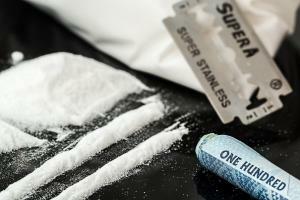 This article was produced by Drug Reporter, a project of the Independent Media Institute. Arizona Republicans go one way, Texas Republicans go another; the House passes the SITSA Act, New York will allow medical marijuana for opioid use, and more. Poll: Arizona Republicans Still Don't Like Weed. A new poll from OH Predictive Insights finds that nearly three-quarters of state Republican primary voters oppose marijuana legalization. Only 21% were in favor. Still, a marijuana legalization nearly passed statewide in 2016. Top New York Health Official Says Cuomo Panel Will Endorse Legalization. Dr. Howard Zucker, the state's top health regulator, said Monday a Cuomo administration panel will recommend that the state legalize marijuana. "We looked at the pros. We looked at the cons… the pros outweigh the cons," Zucker said of the panel's work. Texas GOP Endorses Marijuana Decriminalization, More. At the party's state convention this past weekend, delegates approved platform planks calling for the decriminalization of marijuana possession, support for hemp farming, expanding access to medical marijuana, and calling for the rescheduling of marijuana. New York Health Department of Health Announces Opioid Use to be Added as a Qualifying Condition for Medical Marijuana. The Health Department on Monday announced it will develop a regulatory amendment to add opioid use as a qualifying condition for medical marijuana. "The opioid epidemic in New York State is an unprecedented crisis, and it is critical to ensure that providers have as many options as possible to treat patients in the most effective way," said New York State Health Commissioner Dr. Howard Zucker. "As research indicates that marijuana can reduce the use of opioids, adding opioid use as a qualifying condition for medical marijuana has the potential to help save countless lives across the state." Opioid use joins 12 other qualifying conditions under the state's Medical Marijuana Program. Currently, patients can be eligible if they have been diagnosed with one or more of the following severe debilitating or life-threatening conditions: cancer; HIV infection or AIDS; amyotrophic lateral sclerosis (ALS); Parkinson's disease; multiple sclerosis; spinal cord injury with spasticity; epilepsy; inflammatory bowel disease; neuropathy; Huntington's disease; post-traumatic stress disorder; or chronic pain. House Passes SITSA Act. Over the protests of drug reform and other groups, the House last Friday approved HR 2851, the Stop Importation and Trafficking of Synthetic Analogues (SITSA) Act. The bill has already passed out of committee and awaits a House floor vote. The bill is an old-school drug war response to new psychoactive substances that relies heavily on the criminal justice system. The Drug Policy Alliance called the bill "dangerous" because it grants the Justice Department "broad new powers to ban synthetic analog drugs, decide what the sentences should be, and take away the requirement for Congressional oversight that has been in place for 40 years." The bill now heads to the Senate. France Poll for First Time Finds Majority for Marijuana Legalization. A new poll from the Institut français d'opinion publique (Ifop) for Terra Nova and Echo Citoyen, a think tank and a citizens' political group, for the first time reports a majority for legalization. The poll had support at 51%, with 40% opposed and 9% undecided. The poll marks a "turning point," said Thierry Pech, head of Terra Nova. "French people made the finding that prohibition and repression did not work to preserve the health of users," Pech said. Under current French law, pot possession is punishable by up to a year in jail and a fine of more than $4,000. By the end of 2013, the country's quiet opioid addiction crisis was no longer so quiet. Opioid overdose deaths that year topped 16,000, more than four times the same statistic for 1999. That prompted a number of measures at the state and federal level to rein in opioid prescriptions, including a move by the DEA in October 2014 to tighten its policies around some of the most commonly prescribed opioids. The new DEA policy -- aimed at popular opioids such as Vicodin and Lortab -- imposed restrictions on doctors' prescribing and made it more difficult for patients to get refills. In one sense, the policy was a success: Prescriptions for those drugs decreased almost immediately. But new research adds to an increasing body of evidence that restricting opioid prescribing has not solved the opioid crisis but instead worsened it. Since the DEA policy shift, opioid overdose deaths continued to grow with more than 40,000 fatal opioid overdoses in 2016. And while prescription opioid overdose deaths have slightly decreased -- there were about 14,000 that year -- overdose deaths from heroin and non-prescription synthetic opioids such as fentanyl went through the roof. Heroin and illicit synthetics accounted for nearly two-thirds of all opioid overdose deaths in 2016. In the new study, published this week in the British Medical Journal, researchers examining the impact of the DEA policy shift found evidence that while the change indeed lowered prescribing rates for the opioids in question, it was also linked to an increase in illicit online sales of those drugs in Dark Web drug markets. The researchers used software called DATACRYPTO to crawl encrypted Dark Web marketplaces where people can anonymously buy damned near anything, from drugs to guns to credit card numbers. DATACRYPTO harvested data on which drugs were for sale, their country of origin, and the number of customer comments on each seller's comments page. Researchers used that last figure as a proxy for how much of a drug that seller sold. They examined sales of prescription opioids, sedatives, stimulants, and steroids, as well as heroin. It was only with prescription opioids that they found a significant Dark Web sales bump. Here's what they found: "The sale of prescription opioids through US cryptomarkets increased after the schedule change, with no statistically significant changes in sales of prescription sedatives, prescription steroids, prescription stimulants, or illicit opioids." According to their data, prescription opioids doubled their market share of U.S. Dark Web drug sales thanks to the DEA policy change. By July 2016, opioids represented 13.7% of all drug sales in U.S. cryptomarkets, compared with a modeled estimate of 6.7% of all sales. While the researchers were careful to not make claims of causation -- only correlation -- their conclusion speaks for itself: "The scheduling change in hydrocodone combination products coincided with a statistically significant, sustained increase in illicit trading of opioids through online US cryptomarkets. These changes were not observed for other drug groups or in other countries. A subsequent move was observed towards the purchase of more potent forms of prescription opioids, particularly oxycodone and fentanyl." Not only is the DEA policy change linked to increased Dark Web opioid sales, it is also linked to a move toward more powerful, and thus more dangerous, opioids. The researchers noted that while fentanyl was the least purchased Dark Web opioid in the summer of 2014, it was the second most frequently purchased by the summer of 2016. Fentanyl killed as many people as prescription opioids that year. This study -- one of the few that examines supply reduction (as opposed to demand reduction) as a means reducing drug use -- strongly suggests that supply-side interventions carry unintended consequences, especially the resort to more dangerous and more powerful substitutes. The study's authors refer to this effect as "the iron law of prohibition, whereby interventions to reduce supply, such as increased enforcement and changes to drug scheduling, lead to illicit markets dominated by higher potency products." Perhaps better than restricting opioid prescriptions, which has deleterious impacts on the tens of millions of Americans suffering chronic pain, or other supply-side interventions, would be increased access to addiction treatment, as well as greatly expanded harm reduction measures to try to get people off opioids and keep them alive in the meantime. St. Louis prosecutors will no longer go after people with less than 100 grams of marijuana, a Delaware legislator amends her legalization bill to address concerns, the House passes an opioid package, the Canadian federal government rejects some Senate marijuana amendments, and more. Delaware Legalization Bill Amended. State Rep. Helene Keeley (D-Wilmington) has filed an amendment to her legalization bill, House Bill 110, aimed at addressing concerns around regulations and public safety. The amendment would more tightly regulate legal marijuana production and distribution and prohibit products that look like candy or cartoon characters. The amendment also clarifies employer protections and sets aside 10% of tax revenues to pay for drugged driving enforcement. The bill has already passed committee votes and now awaits a House floor vote. St. Louis Ends Marijuana Prosecutions for Less Than 100 Grams. St. Louis Circuit Attorney Kim Gardner announced Tuesday that her office will stop prosecuting marijuana possession cases involving less than 3 ½ ounces (100 grams) of the weed. "Effective immediately we will no longer issue possession of marijuana cases under 100 grams as the lead charge!" Gardner wrote. Gardner said her staff would also begin reviewing and dismissing pending pot cases. South Carolina Voters Approve Medical Marijuana Question On Democratic Ballot. Voters in the state's Democratic primary overwhelmingly approved a non-binding question asking if they supported passing a law to allow doctors to prescribe marijuana to patients. The question passed with 81% of the vote. While medical marijuana bills have moved in the legislature, none has yet passed. House Passes Package of 25 Bills Addressing Opioid Crisis. The House on Tuesday approved a package of 25 bills that nibble at the edge of the nation's opioid-related public health crisis. The bills range from addressing the disposal of opioid medications after a patient's death to encouraging overdose awareness in hospital emergency rooms to raising awareness of synthetic opioids and more. For a complete list of the bills and what they do, click on the title link. Delaware Law Giving First Responders Immunity from Lawsuits for Administering Opioid Overdose Reversal Drug Goes into Effect. Gov. John Carney (D) on Tuesday signed into law Senate Bill 147, which provides immunity from lawsuits for public safety personnel for trying to save lives by administering Naloxone. Paramedics and police had previously been granted immunity, and laypersons also have immunity under the state's Good Samaritan law. This bill specifies that volunteer firefighters and other emergency responders will also have immunity. Canadian Federal Government Rejects Some Senate Marijuana Legalization Bill Amendments. The federal government has said it accepts some 26 technical proposed amendments to the C-45 legalization bill but rejects amendments to allow provinces to bar home cultivation and prohibit producers from handing out branded merchandise. "We have looked carefully at all of the amendments that have been brought forward and today we respectfully submit to the Senate the amendments that we've accepted, and the ones that we haven't," Health Minister Ginette Petitpas Taylor told reporters Wednesday. Now, it will be up to the Senate to accept the government's position. If not, the legislative haggling could continue for some time. Colorado's governor vetoes a pot tasting room bill and signs a medical marijuana in schools bill, Canada's legalization bill overcomes a last-ditch attempt to block it, and more. Colorado Governor Vetoes Marijuana "Tasting Rooms" Bill. Gov. John Hickenlooper (D) has vetoed House Bill 18-1258, which would have allowed customers at marijuana retailers to consume edibles or vape on premises. Hickenlooper said the bill violated Amendment 64, which said marijuana consumption could not be done "openly" or "publicly." Hickenlooper also cited fears of stoned driving. Colorado Governor Signs Medical Marijuana at School Bill. Gov. John Hickenlooper (D) has signed into law House Bill 18-1286, which will allow school nurses to administer medical marijuana to students with medical marijuana patient cards. Hickenlooper said that bill would expand current law to "allow school personnel to administer medical marijuana in a non-smokable form to students qualifying for medical marijuana use." 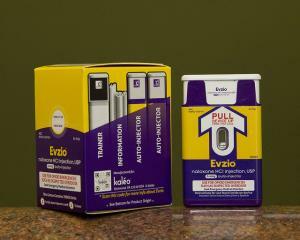 West Virginia Begins Statewide Distribution of Naloxone to First Responders. The state Department of Health and Human Services announced Tuesday that it is beginning the distribution of the opioid overdose reversal drug to first responders. Naloxone is going out to the state police, the fire marshal's office, and emergency medical service providers, with eight high priority counties also being allocated additional doses. Canada's Conservatives Thwarted in Bid to Block Legalization Bill. An attempt by Conservative senators to slow down the marijuana legalization bill failed on Monday night on 50-29 vote. Sen. Leo Housakos (C) had filed an amendment to delay passage until the government releases a report on how it will deal with marijuana-related border issues. Now, the bill is set for a final Senate vote Thursday. Two polls illustrate the rising social acceptability of marijuana, Louisiana's medical marijuana program expands, the Bangladeshi drug war could be a cover for political assassinations, and more. Gallup Poll: Two-Thirds Say Consuming Marijuana "Morally Acceptable." A large majority of Americans -- 65% -- say consuming marijuana is "morally acceptable." An even larger majority -- 78% -- say drinking alcohol is "morally acceptable." This is the first time Gallup has asked the question. Youth Support for Marijuana Legalization at All-Time High, Poll Finds. The annual Monitoring the Future survey of secondary school students finds that 49% of 12th graders supported marijuana legalization last year, a figure the survey called a "historic high." Just a decade earlier, only 29% favored legalization, but support has grown every year since then, except for a one-point downward blip in 2015. Louisiana Governor Signs Second Medical Marijuana Expansion Bill. Gov. John Bel Edwards (D) has signed into law House Bill 579, which adds Parkinson's, glaucoma, severe muscle spasms, chronic pain and post-traumatic stress disorder to the 10 conditions currently qualifying for medical marijuana. Days earlier, he signed into law a second bill that added autism to the list of qualifying disorders. Bangladeshi Drug War Used to Hide Political Assassinations. The death toll from the Bangladeshi government's bloody drug crackdown has risen to 120, and claims are coming that some of the victims are not drug users or dealers at all, but political opponents of the government. One case is that of Habibur Rahman, who police said had been killed in a gunfight with officers, but his family said Rahman, an activist with the leading opposition party, was last seen being taken away from a local mosque by men thought to be plainclothes police officers. "He was neither a drug seller nor a drug addict. It was because he was involved in politics against the government and protested about land affairs," said a relative who declined to be named for fear of retaliation. British Home Office Scotches Plans for Glasgow Safe Injection Site. The British Home Office has refused to approve a safe injection site in Glasgow -- even though it acknowledges they are an effective harm reduction intervention. The Home Office said there is no legal framework for setting up safe injection sites and there are no plans to amend the law to do so. 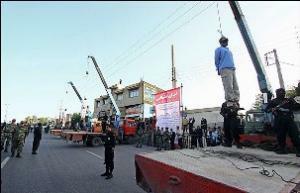 For years, Iran has been one of the world's leading executioners of drug offenders, with hundreds of people hung from the gallows annually for drug smuggling and trafficking. But in a remarkable turnabout, that is no longer the case. After the Iranian parliament amended the country's drug laws in November 2017, drug executions have all but halted, according to a new report from Iran Human Rights (IHR). The non-profit group found that only one person had been executed for a drug offense this year in Iran, compared to 112 during the same period last year and nearly 500 for all of 2017. That's a 99% reduction in the resort to the death penalty for drugs in the Islamic Republic. The changes to Iran's drug laws didn't remove the death penalty from the books -- it remains one of 33 countries, including the United States, that mete out the ultimate punishment for drug offenses -- but it dramatically raised the quantities of drugs needed to merit the death penalty. Under the old law, being caught with a little more than an ounce (30 grams) of drugs such as cocaine or heroin could bring a death sentence. Now, it takes nearly 4 ½ pounds (2 kilograms). Similarly, for plant-based drugs such as cannabis and opium, the death penalty threshold has increased ten-fold, from 5 kilograms (11 pounds) to 50 kilograms (110 pounds). The death penalty can also be imposed for certain other drug offenses where quantity is not the issue, for example, the use of a minor in a drug trafficking operations, carrying or using firearms while committing drug-related crimes, having a prior death penalty or prison sentence longer than 15 years, or being the "leader" of a drug trafficking group. The one man executed for drug offenses in Iran this year, identified as Kiomars Nosuhi, was convicted of being a "leader" of a drug trafficking group. Bordering Afghanistan, the world's primary supplier of raw opium and heroin, Iran has for decades waged war on drug smugglers, with thousands of police and soldiers killed in the struggle. While opium smoking was a traditional Iranian pastime, the country now has one of the world's highest addiction rates, with heroin largely replacing opium. In recognition of that reality, in the past decade, Iranian officials have switched from harsh punishments of drug users to emphasizing drug treatment and harm reduction. The end of the reflexive resort to the death penalty for drugs marks another step in the country's march toward a more progressive policy response. While human rights groups applaud the dramatic decline in drug executions, they continue to express concern over the way the Iranian judicial system responds to drugs. "We welcome the significant reduction in the use of the death penalty and hope that this trend will continue towards complete abolition," said IHR spokesperson Mahmood Amiry-Moghaddam. "However, we have several serious concerns regarding the process of implementation of the new amendment, including bribery in the judicial system, insufficient capacity to handle a large number of cases, and lack of a monitoring organ overlooking the process." And then there are the tens of thousands of drug offenders filling Iran's prisons. The country has more than 250,000 people behind bars, 50% to 70% for drug offenses. The Islamic Republic may not be running the gallows at full tilt anymore for drugs, but incarceration remains a key element of Iranian drug policy. Still, Iran has taken an important step forward. The California Senate approves a bill to create financial services for the pot industry, the California public health department is paying needle exchanges to hand out fentanyl test strips, a New York bill would allow the use of CBD oil instead of opioids to treat pain, and more. 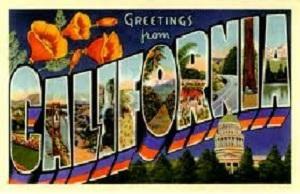 California Marijuana Banking Bill Passes Senate. The state Senate voted 29-6 Wednesday to approve Senate Bill 930, which would allow financial institutions to offer limited banking services to legal marijuana businesses. The bill would create limited-charter licenses for banks and credit unions allowing them to issue special checks that could be used by the industry. The measure now goes to the Assembly. Three Out of Four Florida Democratic Gubernatorial Contenders Support Legalization. Florida Democrats are seeing a near consensus for marijuana legalization among the current crop of gubernatorial candidates. Tallahassee Mayor Andrew Gillum, Winter Park entrepreneur Chris King and former Miami Beach Mayor Philip Levine all back legalization. Former Congresswoman Gwen Graham is the outlier; she only backs decriminalization. New York Bill Would Allow CBD Cannabis Oil to Be Used Instead of Opioids for Pain. State Sen. George Amedore (R) on Thursday filed Senate Bill 8820, which would allow the use of CBD cannabis oil in place of opioids. Amedore is co-chair of the Senate Task Force on Opioid and Heroin Addiction and said that the evidence is clear marijuana is less harmful and addictive than opioid painkillers. California Paying Needle Exchanges to Provide Fentanyl Test Strips. For a year now, the state public health department has been paying needle exchanges to distribute fentanyl test strips to their clients in a bid to lower overdose deaths. The tests cost $1 each. Users mix a bit of their drugs in water and then dip the strip in for a few seconds and they get results back within five minutes. About half of the state's 45 needle exchanges are distributing the strips. The state has spent $57,000 on the project so far. A bill that would mandate life sentences for selling drugs involved in fatal overdoses is moving in Rhode Island, a California US attorney says he's too busy with the black market to go after legal marijuana, another Utah poll has a medical marijuana initiative winning, Guatemala gets its first coca crop and more. California US Attorney Says Too Much Black Market Work to Focus on Legal Market. Sacramento-based McGregor Scott, US Attorney for the Northeastern District of California, said Tuesday there is so much marijuana being grown illegally on federal lands and trafficked to other states that he doesn't have the resources to go after state-legal marijuana operations. Scott said he would focus on interstate trafficking, organized crime, and damage to public lands. New Jersey Legalization Advocate Wants to Tie Legalization, Medical Marijuana. State Sen. Nicholas Scutari (D-Union) is working on a plan to combine a marijuana legalization push with a bid to expand medical marijuana, but some lawmakers are warning the effort could blow up chances for either to pass this year. The medical marijuana expansion plan has broad support; the move to legalize marijuana is much more contentious. Northern Marianas Legalization Bill Advances. The Commonwealth of the Northern Marianas Islands (CNMI) has taken another step toward legalizing marijuana. The House Committee on Judiciary and Government Operations has unanimously approved a bill that would allow adults to grow, possess, and consume marijuana and set up a system of taxed and regulated sales and production. The bill has already passed the Senate and now awaits a House floor vote. Yet Another Utah Poll Has Medical Marijuana Initiative Winning. A new poll from Dan Jones & Associates finds that nearly three out of four Utah residents support the Utah Patients Coalition medical marijuana initiative. The poll had 72% either "strongly" or "somewhat" in support, with 25% opposed, and only 2% undecided. While the LDS Church has come out against the measure, even 59% of self-described very active Mormons say they are for it. 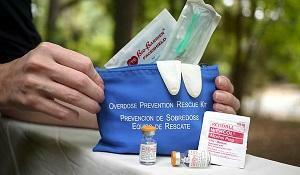 Rhode Island Senate Approves Bill Allowing Life Sentences in Overdose Deaths. 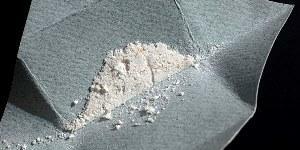 The state Senate on Tuesday approved Senate Bill 2279A, which allows prison sentences of up to life for those convicted of selling, delivering, or distributing an illegal drug that results in a fatal overdose. The bill passed 22-11 over the objections of treatment professionals, mental health advocates, and civil liberties organizations, which argued that tougher sentences will only make it harder to fight drug overdoses. "We know, based on decades of criminal justice based drug policy, that harsher penalties do not decrease drug using activity. So, this bill's disturbing message will not decrease drug use, nor drug trafficking -- the economics ensure this -- but it will further marginalize people who use drugs and increase their fears," a joint letter to the Senate said. "Use of a public health approach, not lengthy criminal sentences for users and small-time dealers, is essential for our state's ability to continue to make headway in this crisis." The bill now goes to the House. Guatemalan Authorities Bust First Coca Farm. The National Civil Police announced over the weekend that they had found and destroyed a 2 ½ plot of coca plants sown between coffee plants, the first discovery of coca cultivation in the country. The crops were found in a remote area of Alta Verapaz department. Honduras recently saw its first and second discovery of coca plantings, too, suggesting that traffickers are attempting to cut risk and transport costs by planting the cocaine-producing crop nearer to US markets. The US Surgeon General has some surprisingly frank words about harm reduction and evidence-based drug policy, Cory Booker's Marijuana Justice Act picks up another sponsor, Arizona's Supreme Court throws out a state law criminalizing the use and possession of medical marijuana on campus and more. The section on the Surgeon General's comments has an update, including a statement from the Department of Health and Human Services on the safe injection sites mention. Jeff Merkley Signs on to Federal Marijuana Justice Act. And then there were five. Sen. Jeff Merkley (D-OR) has become the fifth cosponsor of Sen. Cory Booker's Marijuana Justice Act (S. 1689). The other cosponsors are Sens. Kirsten Gillibrand (D-NY), Kamala Harris (D-CA), Bernie Sanders (I-VT), and Ron Wyden (D-OR). Representatives Barbara Lee (D-CA) and Ro Khanna (D-CA) introduced a companion measure, H.R. 4815, in the House of Representatives earlier this year that has 35 cosponsors. New York Democratic Party Officially Endorses Marijuana Legalization. Delegates to the state Democratic convention Wednesday adopted a resolution supporting marijuana legalization: "The New York State Democratic Committee supports the legalization of marijuana which should be regulated and taxed in a manner similar to alcohol," reads a resolution. The resolution adds that legalization is "an important social justice issue." Arizona Supreme Court Okays Medical Marijuana on College Campuses. The court ruled Wednesday that the state can't criminally charge card-carrying medical marijuana patients for possessing and using their medicine on campus. In Arizona v. Maestas, the court held that a 2012 law banning medical marijuana on campus violated the state's protections for voter-approved laws. The Supreme Court ruling upholds an appellate court ruling that also found in Maestas' favor. Ohio Dispensary License Announcement Delayed. The state Board of Pharmacy announced Tuesday that its planned announcement of dispensary license awards Wednesday has been postponed and that provisional licenses will instead be issued in June. Legal medical marijuana sales are supposed to begin on September 8. Stay tuned. Pennsylvania Judge Halts Medical Marijuana Research Program. A Commonwealth Court judge has granted a temporary injunction sought by numerous dispensaries and growers and processors to halt the state's medical marijuana research program. The plaintiffs worry that the regulations for the clinical research programs would give an unfair advantage to clinical research partners and growers. The Health Department is now pondering next steps. Illinois Governor Gets Bill Legalizing Industrial Hemp. With a 106-3 House vote Wednesday, the legislature has approved a bill legalizing industrial hemp, Senate Bill 2298. Now it's up to Gov. Bruce Rauner (R) to sign it. 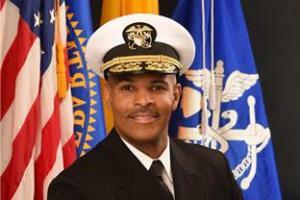 US Surgeon General Urges ER Docs to Advocate for Evidence-Based Opioid Treatment. US Surgeon General Dr. Jerome Adams called Wednesday on emergency room physicians to advocate more vigorously for evidence-based opioid treatment, including harm reduction measures. Adams supported such harm reduction interventions as needle exchanges and safe injection sites. [The Department of Health and Human Services has issued a statement claiming that Dr. Adams does not support safe injection sites, and contesting the evidence on them. See update below.] He urged doctors to reach out to and educate stakeholders in their communities. "We have to understand that these policy interventions look different in different parts of the country," Adams said. "We have to understand that public policy means public and that we have to be able to go there and show them that we care before we can share what we know." "The Administration and the Surgeon General do not support so-called 'safe' injection sites as a means to combat the opioid epidemic and its consequences. In addition, there is no evidence to demonstrate that these illegal sites reduce drug use or significantly improve health outcomes for those with opioid use disorder. So-called 'safe' injection sites lack the necessary scientific support to be considered a standardized evidence-based practice in the U.S."
Another article states that Adams mentioned safe injection sites as being "part of the conversation" in some communities. A 2017 study in Canadian Family Physician found that "SISs are associated with lower overdose mortality (88 fewer overdose deaths per 100 000 person-years [PYs]), 67% fewer ambulance calls for treating overdoses, and a decrease in HIV infections." A 2017 article in Harm Reduction Journal notes with citations that evaluation of Vancouver's Insite program showed it was "meeting its objectives of reducing public disorder, infectious disease transmission, and overdose and was successfully referring individuals to a range of external programs, including detoxification and addiction treatment programs.". The article further states that "over 40 peer-reviewed studies have been published which speak to the many benefits and lack of negative impacts of this site." A 2008 article in the American Journal of Public Health reported that the supervised injection facilities in Sydney and Vancouver were "negatively associated with needle sharing... and positively associated with less-frequent reuse of syringes... less outdoor injecting... using clean water for injection... cooking or filtering drugs prior to injecting... and injecting in a clean location," that "[b]oth... were effective gateways for addiction treatment, counseling, and other services," and that there were no "reported overdose deaths in a SIF." A 2014 article in Drug and Alcohol Dependence found that "[s]eventy-five relevant articles... converged to find that SISs were efficacious in attracting the most marginalized PWID, promoting safer injection conditions, enhancing access to primary health care, and reducing the overdose frequency" and that "SISs were found to be associated with reduced levels of public drug injections and dropped syringes." A 2008 article in the Canadian Medical Association Journal found "Vancouver's supervised injection site is associated with improved health and cost savings." A 2010 article in Addiction found that if Vancouver's supervised injection facility "were closed, the annual number of incident HIV infections among Vancouver IDU would be expected to increase from 179.3 to 262.8. These 83.5 preventable infections are associated with $17.6 million (Canadian) in lifetime HIV-related medical care costs, greatly exceeding Insite's operating costs, which are approximately $3 million per year."